ADC Telecommunications - A leading global supplier of transmission and networking systems for telecommunications, cable television, broadcast, wireless and enterprise networks. Alcatel-Lucent - Builds networks, delivering integrated end-to-end voice and data communications solutions to established and new carriers, as well as enterprises and consumers worldwide. Alltell Wireless - Broad array of communications and information services solutions. ArrayComm - An innovative wireless technology company located in California's Silicon Valley. The company's patented IntelliCell adaptive smart antenna (spatial processing) technology enhances wireless voice and data communication systems. It is the backbone of ArrayComm's latest innovation, i-BURST - a portable, low-cost, ubiquitous, high-speed wireless Internet solution. AT&T Corp. - An American telecommunications company that provides voice, video, data, and Internet telecommunications and professional services to businesses, consumers, and government agencies. AU-System WAP Guide - AU-System is one of the largest software specialists in telecommunications and data communications in Europe and a world-leading supplier of Internet security and wireless technology. Bell Canada Enterprises - Canada's largest communications company, providing local telephone, long distance, wireless communications, Internet access, data, satellite television and other services to residential and business customers through some 26 million customer connections. Bell System Technical Journal - The in-house scientific journal of Bell Labs that was published from 1922 to 1983. Bell Canada - A a Canadian telecommunications and media company headquartered in Montreal, Quebec. Including its subsidiaries Bell Aliant, Northwestel, Telebec, and NorthernTel, it is the incumbent local exchange carrier for telephone and DSL Internet services in most of Canada east of Manitoba and in the northern territories, and a major competitive local exchange carrier for enterprise customers in the western provinces. Also see Wikipedia. BT - Broadband, phone lines and digital TV for UK homes. Mobile, security, networked IT and voice services for businesses and organisations around the world. Catalyst Telecom - One of North America's largest value-added distributors of business telephone and computer telephony products. CDMA Development Group - A consortium of companies who have joined together to lead the adoption and evolution of Code Division Multiple Access (CDMA) wireless systems around the world. CenturyLink - Local telephone, wireless, Internet, long distance, and home and business security services to customers in 21 states. CGSMK CryptoPhone - Company located in Berlin, Germany, that built the first mobile phone that provides strong end-to-end voice encryption with full source code published for review. Cisco Systems, Inc. - Cisco offers the industry's broadest range of hardware products used to form information networks or give people access to those networks; Cisco IOS software, which provides network services and enables networked applications; expertise in network design and implementation; and technical support and professional services to maintain and optimize network operations. CIT-Online - Telecom market information, players, revenues, projections. Columbia Institute for Tele-Information - A university-based research center focusing on strategy, management, and policy issues in telecommunications, computing, and electronic mass media. It is a Sloan Foundation industry research center. Communications Assistance for Law Enforcement Act of 1994 (CALEA) - In October 1994, Congress took action to protect public safety and national security by enacting CALEA. The law further defines the existing statutory obligation of telecommunications carriers to assist Law Enforcement in executing electronic surveillance pursuant to court order or other lawful authorization. CALEA is codified at 47 U.S.C. § § 1001-1021 [.pdf, 19 pp.]. Corning - A premier provider of optical fiber, cable, and photonic products for the telecommunications industry. CTIA - Internatinal association for the wireless telecommunications industry. Digital Wireless Corporation - A leading supplier of OEM Spread Spectrum wireless data transceivers. DSL Reports - Provides information and help on the subject of residential and small business Broadband connections. Dualphone.net - Dualphone 4088 Skype and landline phone combination information and support. Ericsson - A world leading supplier in telecommunications, mobile communications, Voice Networking, Cordless Mobility, Computer Telephony Integration (CTI). fusionOne - A pioneer in the development of Internet Sync software and services that make information access seamless and simple across multiple communications and computing devices. With fusionOne, users enter information just once in any device with assurance that the information will automatically be updated in their other devices, including cell phones, PCs, and handhelds. General Bandwidth - A telecommunications equipment manufacturer that enables toll-quality voice services to residential and business customers across emerging broadband access networks such as digital subscriber line (DSL), cable, and wireless. GetConnected - Compare rates for all of your connectivity services - phone, ISP, cable service and the like. Gilat Satellite Networks - Provider of telecommunications solutions based on VSAT satellite network technology. GlobalStar - Dependable, affordable global satellite-based personal telecommunications. HearMe - Live voice and telephony on the web. Information Technology Toolbox (ITtoolbox) - A world leading online vertical market network for the IT industry. International Telecommunications Union (ITU) - The ITU, headquartered in Geneva, Switzerland, is an international organization within which governments and the private sector coordinate global telecom networks and services. It is the leading publisher of telecommunication technology, regulatory and standards information. iSKY - iSKY's multi-channel communications technology maximizes customer contact by telephone, fax, e-mail, live text chat, collaborative browsing or Voice over Internet Protocol. Through data capture and mining capabilities, iSKY ensures personalized customer interactions and insights into customer needs, buying behaviors, and communications preferences. Intermedia - An integrated communications provider with networking solutions including local and long distance services, frame relay networking, Internet, ATM, and bundled services providing both voice and data connectivity on a single access circuit. JDS Uniphase - A leader in the design, development, manufacture, and distribution of advanced fiberoptic products for the telecommunications and cable television industries. Juniper Networks, Inc. - Develops high-performance routers used in critical applications, such as core bandwidth management, dedicated access, peering, and data center hosting by the world's largest service providers. Lucent Technologies - Backed by the research and development of Bell Labs, Lucent focuses on broadband and mobile Internet infrastructure; communications software; communications semiconductors and optoelectronics; Web-based enterprise solutions that link private and public networks; and professional network design and consulting services. MCI - business and residential communications services. Motorola - A global leader in providing integrated communications solutions and embedded electronic solutions. Multimedia Telecommunications Association (MMTA) - Providing an open forum for the development of global markets, MMTA strives to ensure a high level of competency and creativity in the delivery of new technology-based solutions to the business community. MyRatePlan - Find the best wireless service in your local area for your actual usage. Site provides a rate calculator (CellCalc) for wireless plans. National Do Not Call - Provides you the opportunity to limit the telemarketing calls you receive. Once you register your phone number, telemarketers covered by the National Do Not Call Registry have up to 31 days from the date you register to stop calling you. The National Do Not Call Registry is managed by the Federal Trade Commission. National Telecommunications and Information Administration (NTIA) - An agency of the U.S. Department of Commerce, NTIA is the Executive Branch's principal voice on domestic and international telecommunications and information technology issues. Net2Phone - Enables people to place low-cost high quality telephone calls from their computer, telephone, or fax machine to any telephone or fax machine in the world. By routing calls via the Internet, Net2Phone enables users to save up to 95% off international phone rates. No Jitter - Where telecom, datacom and the Internet converge. A complete, focused, one-stop information resource that guides business and service-provider organizations in evaluating, purchasing and implementing advanced communications systems and networks. Nomadix - Develops technology that enables broadband Internet Service Providers (ISPs) to overcome the hurdles impeding the spread of high-speed Internet access to consumers. Nortel Networks - A global leader in telephony, data, wireless and wireline solutions for the Internet. Pacific Telecommunications Council (PTC) - PTC's mission is to promote the development of telecommunications and related industries in the Pacific region with an emphasis on developing countries. PacketLight Networks - Developing advanced Next Generation Optical Systems. Phone - Provider of highly scalable infrastructure and application software enabling the delivery of email, voicemail, unified messaging, directory, and wireless Internet access for IP-based networks. Qualcomm - An American wireless telecommunications research and development company, as well as the largest fabless chip supplier in the world, based in San Diego, California. Research in Motion (RIM) - RIM is a world leader in the mobile communications market. The current product portfolio includes mobile email solutions, wireless handhelds, and wireless modems. RF Globalnet - Technical information for the RF/microwave design community. Detailed coverage of design and development of RF/microwave systems and subsystems such as wireless handsets, base stations, antennas, military communication devices, Global Positioning Systems (GPS), satellite communications (satcom) systems, radar systems, wireless local loop (WLL) products, Local Multipoint Distribution Service (LMDS) systems, collision avoidance devices, and millimeter wave products. ShareWave - Provider of highly integrated semiconductors and networking software for high-performance, multimedia, broadband gateways and wireless in-home networks. Skype and Skype Blog - Skype is a software application that allows users to make voice calls over the Internet. Calls to other users within the Skype service are free, while calls to both traditional landline telephones and mobile phones can be made for a fee using a debit-based user account system. Skype has also become popular for its additional features which include instant messaging, file transfer, and video conferencing. The network is operated by a company called Skype Limited, which has its headquarters in Luxembourg and is partly owned by eBay. Tarifica - Communications industry news. TDK-Lambda - Broad line of standard and customer power supplies for telecommunications, embedded systems, industrial and laboratory applications. Submarine Comunications Cable - Wikepedia article: "A submarine communications cable is a cable laid beneath the sea to carry telecommunications between countries. The first submarine communications cables carried telegraphy traffic. Subsequent generations of cables carried first telephony traffic, then data communications traffic. All modern cables use optical fiber technology to carry digital payloads, which are then used to carry telephone traffic as well as Internet and private data traffic. They are typically 69 mm (2.7 in) in diameter and weigh around 10 kg per meter (about 7 lb per ft), although thinner and lighter cables are used for deep-water sections. As of 2003, submarine cables link all the world's continents except Antarctica." 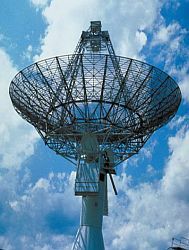 Telecom ABC - A telecommunications and Internet dictionary. Telecom Engine - Serves an audience of senior executives and engineering management in carriers, operators and service providers. Telecommunications Industry Association (TIA) - TIA Online provides a door into the activities of the association: public policy and regulatory issues; standards development; TIA-organized international trade shows and trade missions; and SUPERCOMM, the world's premier annual communications trade show and conference. Telecommunications Reports International (TRI) - Through newsletters, news wires, online services, and special reports, TRI is the leading purveyor of intelligence on domestic and international telecom business and policy strategies, local exchange competition, service resale, billing, wireless/PCS, technology deployment, communications industry finance, interactive and multimedia services, and electronic commerce. Tellabs, Inc. - A global solutions provider that designs, manufactures, markets and services data, voice and video transport, switching/routing and network access systems that are used worldwide by the providers of communications services. Terrpinn - Breaking news, in-depth industry analysis as well as discussion groups and debates on the bandwidth business world. Texas Instruments - A global semiconductor company and the world's leading designer and supplier of digital signal processing and analog technologies, the engines driving the digitization of electronics. TI envisions a world where every wireless call, every phone call and every Internet connection is touched by a Digital Signal Processor (DSP). Total Telecom - Global communications industry's comprehensive online information source for network and telecommunications professionals. U.S. Telecom Association (USTA) - Voice of the converged telecommunications industry. Trade association promoting the industry's interests before Congress, regulatory agencies and other policy makers. United Telecom Council (UTC) - Represents over 1,000 electric and gas utilities, water companies, energy pipelines, other critical infrastructure companies and their technology partners. Vonage DigitalVoice - Broadband digital phone service company. Warren Communications News - Publisher of hard news, analysis and research in the fields of telecom, broadcasting, satellites, consumer electronics and related industries. Warren newsletters include Communications Daily, Television Digest, The State Telephone Regulation Report, Satellite Week and Audio Week, among others. Warren also publishes numerous reference works, such as the industry-standard 5,000-page Television & Cable Factbook and other specialized directories, reports and market studies. This webpage last updated on Wednesday, July 26, 2017 11:42 AM.